Blade Man, also known as Iron Man, piqued my interest for many reasons. Comedy and romance? Check. Supernatural power? Awesome. Lee Dong Wook as the lead actor? Hell yes! The story focuses on an ill-tempered game company CEO, Joo Hong Bin (Lee Dong Wook), who possesses supernatural abilities that manifest based on how he feels. When his power is activated, his body would literally grow blades. I soon find out that he has a lot of agonizing memories of the past and increasingly troublesome matters of the present: unforgettable first-love, overbearing father, illegitimate child Chang, and troublemaking stepmom. All of these factors make controlling his power and containing the resulting damages more and more difficult. 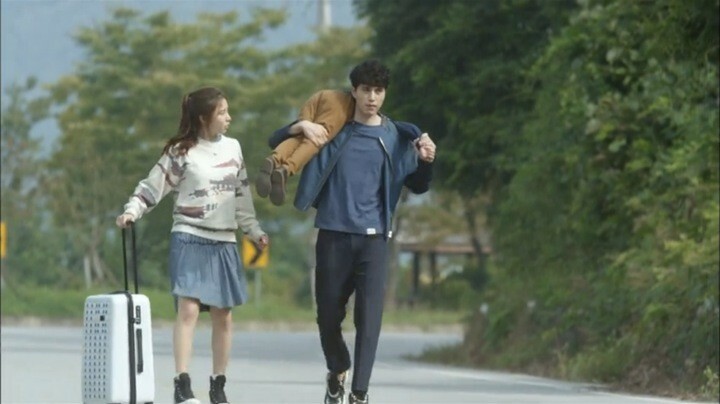 His only saving grace is Son Se Dong (Shin Se Kyung), a young woman with bright personality that he falls in love with. 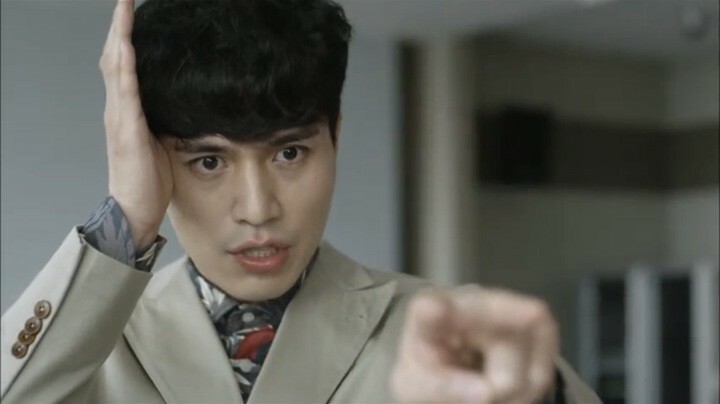 At its core, Blade Man is one of those fantasy dramas with over the top situations and lots of Steven Chow styled “mo lei tau“ humor that are not meant to be taken too seriously. I did find every situation involving the loyal yet half-witted Secretary Go (Han Jung Soo) hilarious. He is my favorite character in the drama followed by the adorable crybaby Chang. Unfortunately, the highlights end here. Though Lee Dong Wook does a decent acting job, his character Hong Bin is too emo and immature for my taste. As for Se Dong, she’s the stereotypical poor yet always optimistic “candy girl” commonly found in Korean dramas. And Shin Se Kyung’s mediocre acting makes her an unmemorable character. As for the storyline and progression of the drama, it’s one disappointment after another: messy intro, slow plot development, and unconvincing character motives, just to name a few. The plot issues compounded with the incredibly slow pacing finally induces me to fall asleep half way through episode 10 — at which point I lost all will to continue any further. And just like that, the journey of a promising superhero came to an abrupt end for me. After watching the trailer of Blade Man, I’m eager to find out how the power works and what direction the drama would take. The possibilities seem endless. But despite the eye-catching theme, I quickly get dropped into a world with a too-fast rotation of new characters, disjointed snippets of backstories, and confusing unexplained relationships. The first two episodes introduced so many characters that it’s difficult to tell who’s even significant enough to stick around and whose story I should be keeping track of. Two full hours later, I’m still left completely baffled about Hong Bin’s super power. The only clue given is that it has to do with his anger and the weather. And it doesn’t get clearer any time soon. Again, episode three is more concerned about setting up the relationships between Hong Bin, Se Dong, and Chang than caring to explain Hong Bin’s power any further. How much longer do I have to wait? That’s a whole lot of dragging to get to the core premise of the drama and I nearly ran out of patience waiting for it to happen. Finally in episode four, Hong Bin begins to suspect that something is different about him after another angry interaction with his father and a hint of a “monster” from Chang. 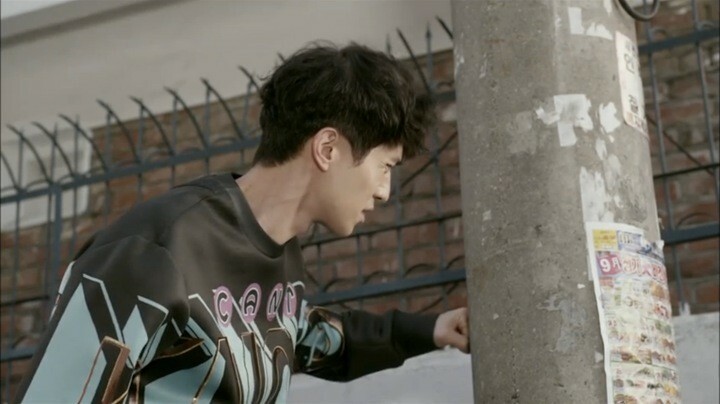 The next four episodes of Blade Man primarily focus on developing its two key plot points: Hong Bin’s power and his relationship with Se Dong. Yes! The storyline is finally picking up a little and I have renewed hope for the drama. Hong Bin takes Se Dong to visit Chang’s grandparents in the countryside where we learn more about the backstory of Chang’s mother. We continue to see Hong Bin cling onto memories of Chang’s mother, so much so that when he finds out the truth around her death, he’s angry enough to finally reveal his true power to himself. Once Hong Bin realizes his power, the drama becomes more interesting. He is curious about how it works just like the rest of us. So he eagerly tries to test his strength, speed, and how to trigger the power consistently. At last, we finally understand that he can only activate the power on rainy days and only when he’s angry. At the same time, he demands Secretary Go to tell him the origin of his power — it all started with a bone marrow donation to Secretary Go’s sister. Just when I’m eager to see more of Hong Bin’s power, I get distracted by the disappointment of the love line progression. As far as I could tell, Hong Bin is still hung up on his first love and doesn’t seem to care much about Se Dong other than the fact that her smell resembles his ex. At the same time, Se Dong’s top concern is portrayed to be her career. Not to mention the two constantly clash and disagree with regards to taking care of Chang. But one joint trip later, Se Dong randomly confesses her feelings towards Hong Bin out of the blue and they immediately fall in love like two peas in a pod. Am I the only one that missed all the signs? Just when I think things couldn’t get messier, the plot takes another plunge. I still haven’t yet comprehended how Hong Bin and Se Dong got together in the first place and they’ve already run into issues; Mr. Superhero tries to throw money at his candy girl to help her live a better life. That’s rich boyfriend mistake number one in the world of Korean drama. Of course, Se Dong responds by calling off the relationship and Hong Bin is left begging for forgiveness at the amusement park. The randomness of the storyline continues. Hong Bin’s stepmom shows up at the amusement park and fanatically accuses Se Dong of seducing her son. But no matter how I look at it, she doesn’t have enough motivation to act so over the top. It’s obviously an intentionally planted excuse by the writers to anger Hong Bin and thereby allow him to reveal his power to Se Dong by inadvertently injuring her. 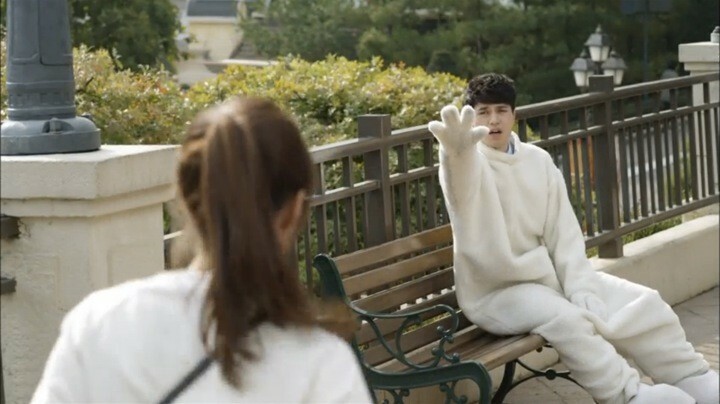 Due to the sadness and guilt of hurting Se Dong, Hong Bin completely loses control of his power followed by excessive moping around in episode ten. There are a lot of scenes of him staring blankly into the camera, just like I’m doing to the TV. It’s time to move on.